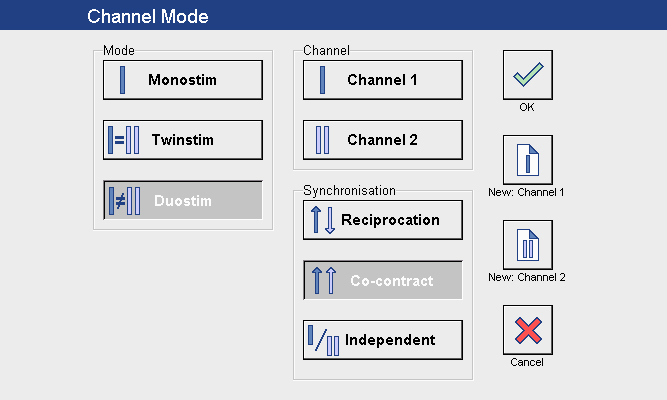 The combination of Sono and Stim allows unparalleled flexibility and variety of treatment programs. In addition to ultrasound therapy and electrotherapy, SonoStim offers outstanding specific combined treatments. An undeniable therapeutic bonus. 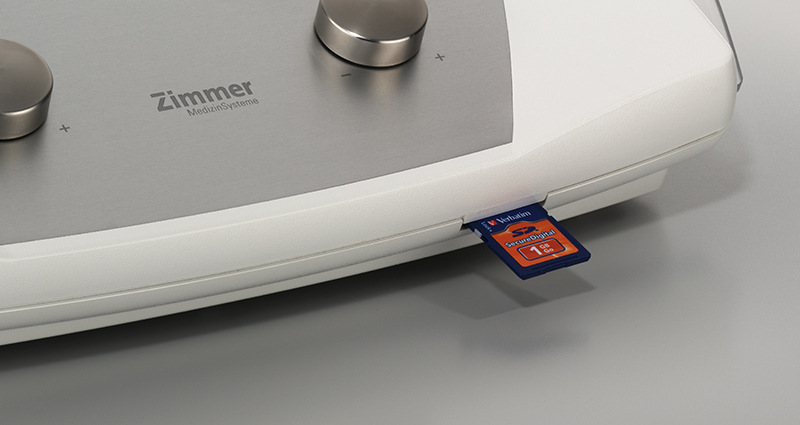 The SD memory card allows programs and individualized 1 or 2 channel or combination treatments to be stored. 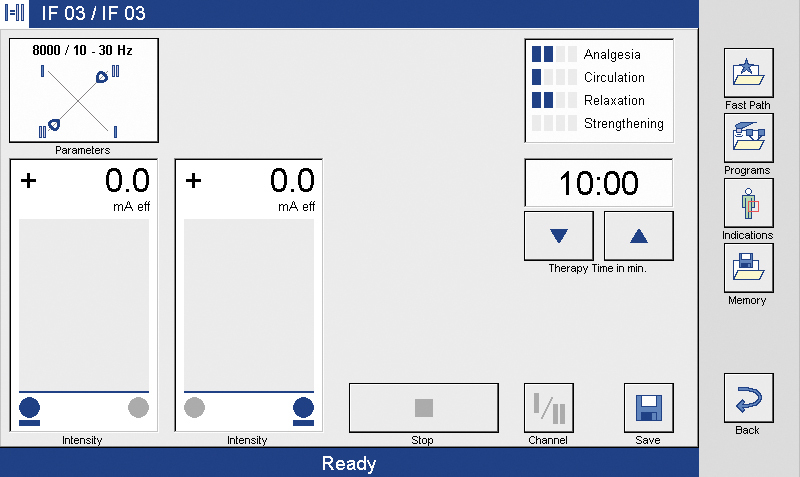 A modern solution enabling practitioners to utilize the full capacity of the SonoStim and easily monitor patients’ treatment parameters. 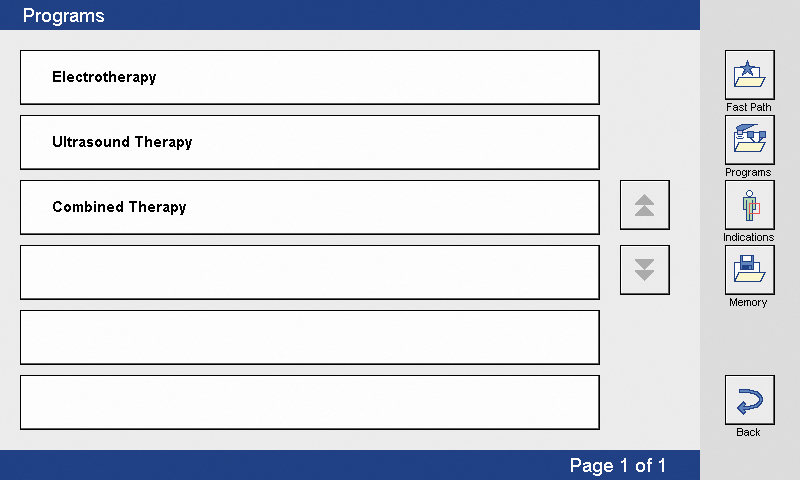 Quick access to more than 300 treatment recommendations by anatomical references for treating acute and chronic pain, muscle reeducation and more. Ever wondered how to treat with ultrasound at the correct depth – right where the problem is? 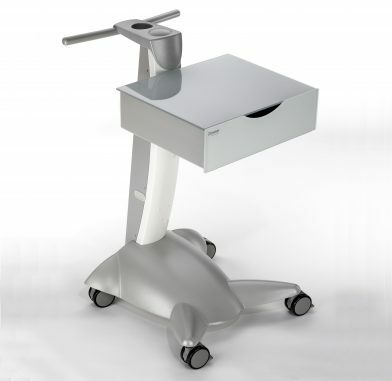 Introducing the Zimmer SoleoSonoStim with patented SonoSwing. 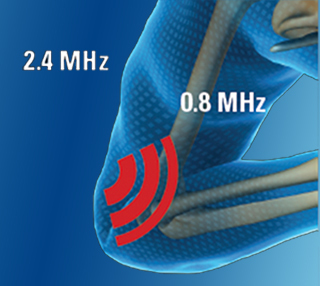 With therapeutic ultrasound, the depth of penetration is dependent on the carrier frequency. Most ultrasounds on the market have two such frequencies – one for surface treatment, and one for depth. You can only select one or the other – with no variation in between. Lower frequencies (0.8 to 1.5 MHz) are optimally effective at greater depths, while higher frequencies (2.4 to 3.0 MHz) act more on the surface. Zimmer Soleo SonoStim includes a high quality, multi-frequency ergonomic ultrasound applicator. It is equipped with a coupling light and adjustable audible signal to indicate appropriate contact for optimum treatment. A green light indicates correct contact. 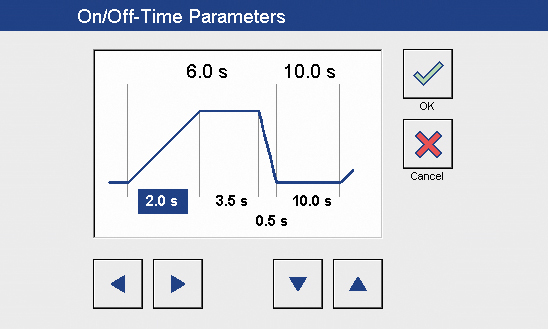 When coupling is not 100%, the screen will also indicate the percentage of transfer.